Any self-proclaimed New Yorker that's actually from the city won't really acknowledge the 'other boroughs'. Brooklyn? How very bridge and tunnel of you. Queens is on Long Island (pronounced Lawn-guy-lend) which might as well be Jersey. 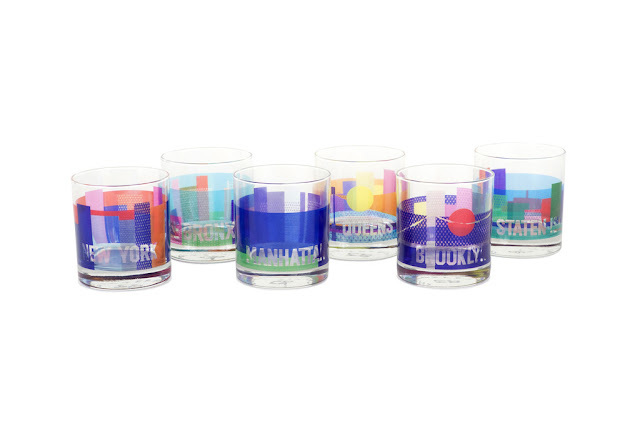 That being said, SoLA is making me embrace New York, and ALL of it's boroughs with their new line of rocks glasses. I've written about them before here and have a few of their glasses on my bar which will just have to be added to in order to fully embrace my bi-coastal heritage (boroughs included). New York glasses, get ready to come live with me.